This bundle features BlackVue's top-of-the-line two-channel (dual lens, forward and inside-facing, with infrared nightvision LEDs) dashcam, the DR750S-2CH-IR. The DR750S-2CH-IR could certainly be considered the best dashcam for rideshare drivers. 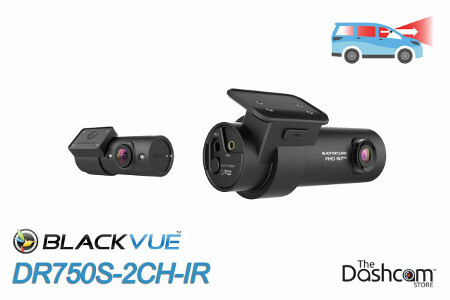 If you're unfamiliar with this best-of-the-best dashcam from BlackVue, please click here or on the image below to open the DR750S-2CH-IR dashcam product page. Free up your cigarette lighter power outlet and painlessly install a BlackVue DR750S-2CH-IR dashcam in your vehicle. The Power Magic Pro is a control module that allows the BlackVue dashcam to keep "watch" over your vehicle while your car is parked and you are away. 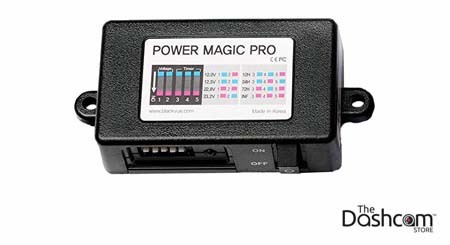 The Power Magic Pro will also prevent a dead car battery: should your car battery drop below 12 volts, the camera will be turned off until you return to your vehicle and start your engine. Click here or on the image below to learn more about the Power Magic Pro that is included in theBlackVue DR750S-2CH-IR Dashcam Bundle. 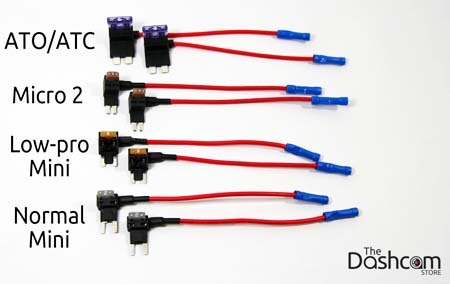 Click here or on the image below to learn more about our simple DC test light (circuit tester) that is included in the BlackVue "Connected" Dashcam Bundle. Click here to learn more about our "add-a-circuit" fuse tap bundle that is included in the BlackVue DR750S-2CH-IR Dashcam Bundle. These simple but effective polarizing filters quickly slip over the front lens of your DR750S dashcam. They fit snugly in place, and can easily be removed if necessary. The filters do not need to be adjusted or rotated (they are actually fixed in place); the filters have been calibrated for optimal alignment at the factory. These filters include an anti-UV treatment, as well. Click here or on the image below to learn more about the Polarizing Filters that is suggested for use with the BlackVue DR750S-2CH-IR Dashcam Bundle. Click here or on the image below to learn more about the Offset Mounting Bracket that is suggested for use with the BlackVue DR750S-2CH-IR Dashcam Bundle.